With the welcome aid of a 2018 Mount Vernon Georgian Papers Fellowship, the historical biographer Flora Fraser spent two months researching in the Georgian Papers in the Royal Archives and one in the Fred W. Smith Library for the Study of George Washington at Mount Vernon. 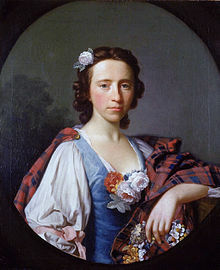 Her lecture focuses on her Fellowship research in each place, which has greatly informed the Biography of Flora Macdonald, Scottish heroine of the 1745 Jacobite Rebellion and, after, North Carolina immigrant and loyalist in the American Revolution, which she is currently writing. She will also touch on the stimulus her work on either side of the Atlantic has given to a future Life of Lord Nelson, which she is planning.